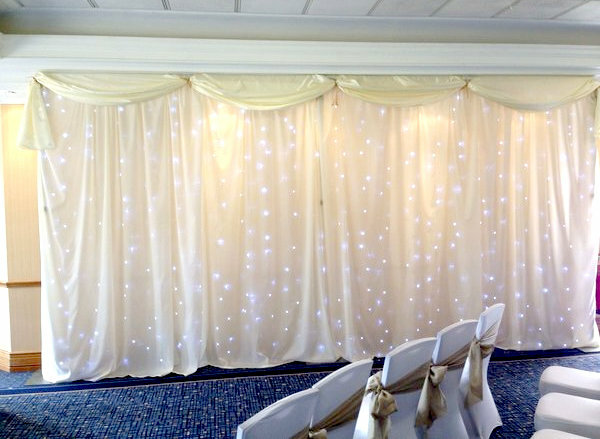 Our Love letters York hire service (including room up lifters and backdrops) is available for your wedding or event in the Yorkshire and Humber regions - We deliver all over Yorkshire and Humber, install and test all lighting at your venue and also arrange collection after your event has finished. The cost really depends on the travel distance from our offices and the length of the hire. Please ask about our no obligation free quote . Our hire fees are very competitive. If you are using our company for your wedding disco / music then we do offer packages, which will save you money and reduce the number of suppliers you use. Please ask about our package deals. For all of the above we have PAT testing and can deal with your venue direct and provide these. 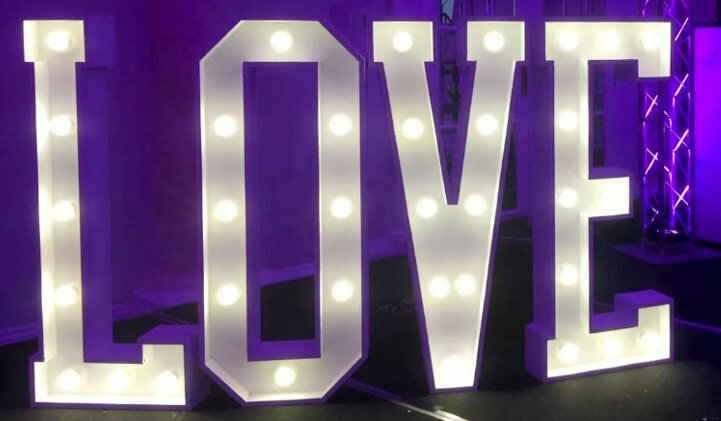 Our Yorskhire light up Love letters and lighting will create extra warmth and atmosphere for your wedding day or event. The light up Love letters York are excellent for providing the extra special wedding day picture and can be used as part of your photo shoot ( as long as its indoors ) The white plain and twinkle backdrops really add the extra wow factor to your wedding decor, in the room and again give the extra special photo picture . The uplifted lighting really creates the ambiance effect and warm feel factor. Our Yorkshire illuminated letters and light up "love" letters service also offer love letters for Leeds, love letters for Harrogate and Leeds light up lettering.